It’s been said that a picture is worth 1000 words. We don’t think you should have to make that choice. Our cinematic wedding hi-lite films let you relive the memories of your special day and share them with friends and family. From laughter to tears, we preserve the story of your wedding day and tell it with our own little twist. 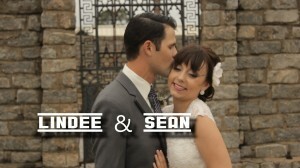 If you’re planning a wedding on Tybee Island Savannah Hilton Head wedding video is a very cool way to remember it. A good video has a rhythm all its own. It captures the moments of life and makes you want to stick around to see how it ends. Tiny details are woven together into a uniquely personal experience and you have a front row seat. Our cinematic video presentations are a surprisingly affordable way to relive the joy of your special day and to share it with friends and family. We’d love to create your Tybee Island Savannah Hilton Head Wedding Video. Whitney Lowery Laska – You totally rock! Thank you all for such an unforgettable day!!! Drop us a line to talk about your Tybee Island Savannah Hilton Head Wedding Video.